Refugee Lawyers Association, Ontario, Canada. Mr. Jesuorobo is called to the Nigerian (1990) and Ontario, Canada (1996) Bars. He is a Notary Public in the Province of Ontario, Canada. He was pupilled by Chief C.O. Ihensekhien (S.A.N.) in Nigeria and the law firm of Michael Waud in Canada. Mr. Jesuorobo practices in the areas of Civil, Criminal and Constitutional Litigation, International Law and Treaties, Citizenship, Immigration and Refugee Law, Investment, Insurance and Secured Transactions. He has handled and won many high profiles cases and has successfully represented many celebrity clients. Mr. Jesuorobo’s cases have been cited in major scholarly works. In September 2010, Mr. Jesuorobo was a guest lecturer at Kellogg College, University of Oxford, United Kingdom, under the sponsorship of the United Nations High Commissioner for Refugees (UNHCR) and the Fahamu Refugee Program. He has also guest-lectured at York University, Toronto, Canada. His outstanding professional achievements have earned him several awards and recognition, including the Planet Africa Television Award for Professional Excellence in 2004 and an honour by the Nigerian Canadian Community in Canada for his outstanding contribution to the Nigerian Canadian Community. In June 2010, Mr. Jesuorobo was featured as one of the ten most influential Nigerians in Canada by the Planet Africa Magazine. In one year alone, Mr. Jesuorobo won 154 out of the 185 cases he argued. Mr. Jesuorobo served as Chair of the Board of Directors of Democratic Alliance for Nigerians in Canada (DANIC), during Nigeria’s pro-democracy struggle in the 1990s. As DANIC’s Board’s Chairman, Mr. Jesuorobo pushed for and won the Canadian government’s support for Nigeria’s pro-democracy struggle. Mr. Jesuorobo has been the principal and managing counsel of Kingsley Jesuorobo & Associates, a Canadian law firm, for almost two decades. LL.B. [Hons. ); LL.M. [London]; ACIArb. ; B.L. Sivbone Edu completed an LL.M. [Master of Laws Degree] in Commercial & Corporate Law at the University of London in 1994. He undertook pre - doctoral research under the supervision of Professor John Adams and Dr. Julian Lew of the International Commercial Arbitration Department, Queen Mary & Westfield College, University of London. He later joined the firm of Olaniwun Ajayi & Co. [Solicitors] as a Solicitor responsible for arbitration, international tax and company law/corporate commercial practice. Mr. Edu earlier obtained his LL.B. [Honours] Degree in 1989 at the University of Benin, Nigeria. 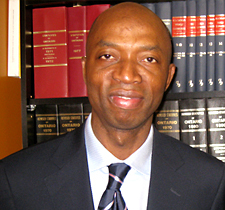 He was admitted to the Nigerian Bar in December in 1990. He pupilled under Dr. B.O. Babalakin of Babalakin & Co. During the summer of 1992, he attended participatory lectures in Law at the University of California, Los Angeles, USA. . He has participated in various national and international conferences and seminars pertaining to corporate advancement. He is in the process of publishing a position paper on the dynamics and appropriateness of the Employee Nomination Scheme. Mr. Edu is an Associate of the Chartered Institute of Arbitrators and Member International Fiscal Association, London. He is also a member of several social and investments societies. Mr. Edu has contributed to the Journal of International Banking Law, England. Whilst in the United Kingdom, Mr. Edu worked as an Administrative Officer in the Lord Chancellor's Department and before then he worked in the management cadre of Wendy's International, an American based food concern. 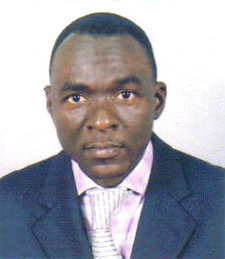 Mr. Edu has been managing partner of Edu, Edu & Co. [Solicitors], a Nigerian law firm, for several decades.